Do you have what it takes to champion growth of a select, dynamic range of high-quality Natural Health & Beauty brands. Are you a challenge seeker who thrives on face to face engagement, quickly able to build rapport with customers and winning business? 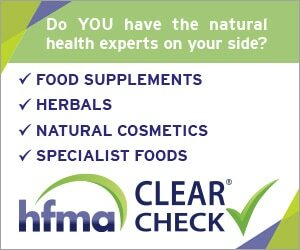 Do you love the natural health industry? We are hiring people like you…apply today! M&N Health & Beauty is family owned established UK market-leading distribution, brand management company of quality Natural Health & Beauty products, servicing the natural health & pharmacy retail channels. You will have experience working at a retail, regional sales / account management level and preferably within the same or similarly aligned industry. Being confident, personable, and self-motivated, you are effective in managing your own territory. Your time will be split 70/30, Account Management/New Business. Possess great communication skills, drive, and gravitas to influence and guide retailers to long term mutual success. • Responsive follow-up to all sales enquiries by phone, email or personal visits. • Attend regular sales meetings to develop product knowledge and skills. • Seek new business opportunities outside of normal industry markets. We provide full training on products and systems. It is expected you already possess excellent presentation, sales, listening and consulting skills. As well as being outgoing and friendly, who is exceptional at building rapport. To be considered for this exciting opportunity, please forward your CV together with a covering note on why you feel the role to be ideally suited to you.